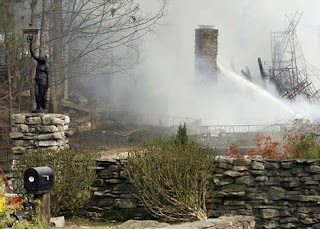 Johnny Cash's longtime lakeside Tennessee home, a showcase where he wrote much of his famous music and entertained US presidents, music royalty and visiting fans, has been destroyed by fire. Cash and his wife, June Carter Cash, lived in the 1,290-square-metre home in Hendersonville from the late 1960s until their deaths in 2003. 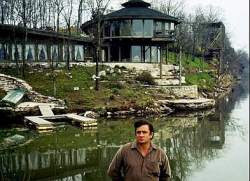 Johnny Cash's lakeside home has been destroyed by fire during its refurbishment for new owner Barry Gibb of the Bee Gees. The building, situated in a Nashville suburb, was bought by Gibb in 2006 who hoped to remodel it and eventually write songs there with his wife. Cash and his wife, June Carter Cash, lived in the home from the late 1960s until their deaths in 2003 and the house was a showcase where he wrote many of his songs and entertained US presidents, fellow musicians and fans.